It is also called a pond of Takehama in a lake where hot springs spring. A sightseeing spot that is a symbol of Yufuin. 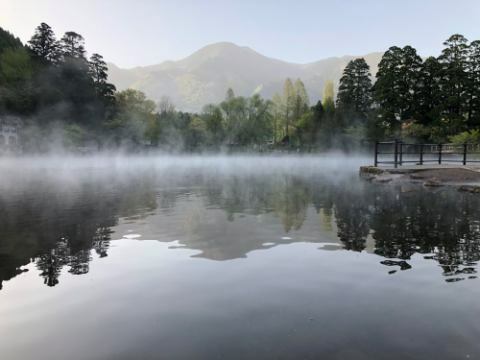 It is said that hot springs are rising from the bottom of the lake, and because the water temperature is high, you can see a fantastic sight from where the fog rises from the lake surface during the cold season. Spring fresh green, fall autumn leaves, winter mist and landscapes that change shape every season are ideal for strolling. Yufu Dake rising in the northeastern part of Yufuin which is a popular hot-spring sightseeing spot is said to be Bungo Fuji and popular. It has been worshiped as a mountain of God for a long time and it is also a famous peak that appears in "Bungo Fudoki" and "Manyoshu". 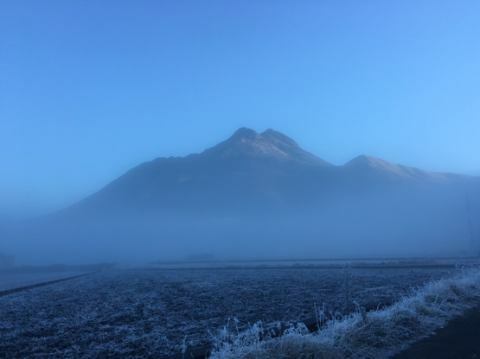 Miyama Kirishima, autumn leaves, fog ice and popular mountaineers of mountaineers all the year round, from the summit you can hope for Beppu Bay, Kuju mountain range, Yufuin town. A museum consisting of two buildings, "Niels House" where you can see antique stained glasses through lighting from the 19th to the 20th century, and "St. Robert Church" which incorporates many beautiful stained glass windows. In addition to stained glass, Art Nouveau glass arts and crafts are also exhibited in the former, and plenty to see. The sound of the Tsuji horse carriage that you hear as you open the window. Yuzuin's Tsuji carriage running through the city rarely seen throughout the country passes through the eyes of the hotel. Would you like to enjoy the rhythm of horse's hooves, which is different from time, whether it is a horse's mood, or is it a measure of a man who controls a carriage while enjoying a conversation with a customer? If you want to enjoy lunch and cafe at Yufuin, "Yu no Tsubota Kaido" is recommended! There are lots of croquette and local sake · souvenir shops in Japan! Please enjoy sightseeing on the main street of Yufuin. ■B-speak: Manufacture a small amount of rolled cake every day with fresh milk produced at Yufuin. If you do not hurry, it will be sold out early! Copyright (C) 2018 旅館　光の家 All Rights Reserved.